Lolong in captivity. Lolong was the biggest crocodile ever measured. He was an Indo-Pacific or saltwater crocodile (Crocodylus porosus) measured at 20 ft 3 in (6.17 m), and weighed 2,370 lbs (1,075 kg), making him one of the largest crocodiles ever measured from snout-to-tail. 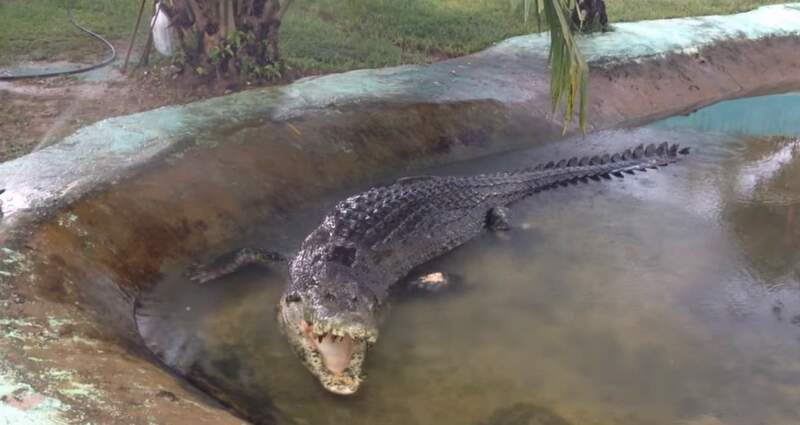 In November 2011, Australian crocodile expert Dr. Adam Britton of National Geographic sedated and measured Lolong in his enclosure and confirmed him as the world’s longest crocodile ever caught and placed in captivity. Lolong died in captivity at around 8 pm on 10 February 2013, due to pneumonia and cardiac arrest, which was aggravated by a fungus infection and stress.